Bill McCoy goofing around on a boat. 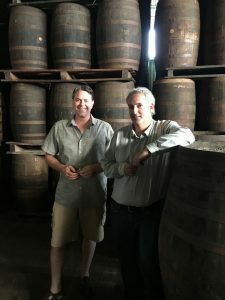 It was while filming a documentary for PBS that Emmy award-winning Writer/Producer/Director Bailey Pryor came up with what he calls the “hair-brained idea” of producing his now award-winning rum. Bailey Pryor, founder and CEO of The Real McCoy, and Master Distiller Richard Seale. 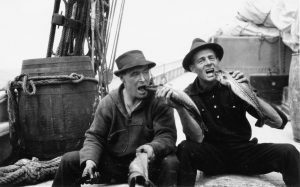 Bill McCoy was known as the first rumrunner of the Prohibition era, sailing a boat full of rum up from Barbados to the international waters three miles off of New York City where he was able to legally sell his wares. McCoy never diluted the rum, thus earning it the term the “real McCoy,” a phrase which had, oddly enough, never been trademarked. It has been now, by Pryor, as the moniker for the rums which he now produces and sells in 19 countries, including the recently-added India, United Arab Emirates, Poland, Hungary and the Czech Republic, a remarkable feat for a company which is less than five years old. In crafting his rums, Pryor has adhered to Bill McCoy’s legacy. They are distilled in Barbados at the same distillery where McCoy procured his rum, the Foursquare Distillery. While he was in Barbados filming the PBS documentary, Pryor met with the head of the country’s National Archives. 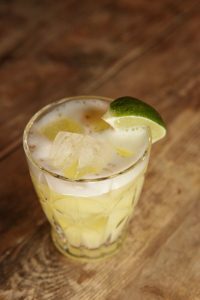 Research indicated that Bill McCoy’s rum had been produced at Foursquare Distillery which was still in operation, with the fourth generation of the family-owned business now at the helm. At the distillery, Pryor met Master Distiller Richard Seale, a member that family. Foursquare Distillery, in Barbados, where The Real McCoy rum is produced. Working with Seale, Pryor has crafted The Real McCoy’s rums not only at the same distillery patronized by Bill McCoy nearly 100 years ago, but also in the same style. 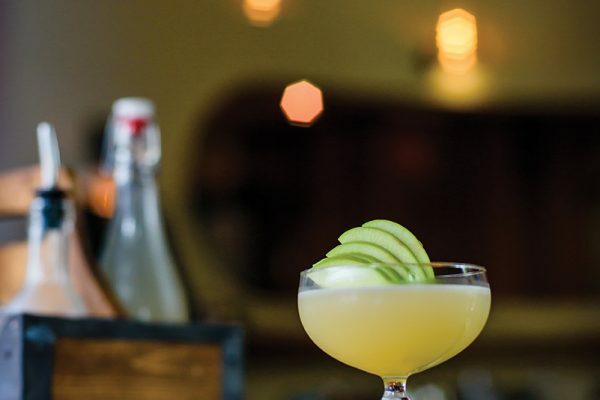 The “Dirty Barbados,” created by Chef James Wyman of the Oyster Club. The suite of rums offered by The Real McCoy, which include three, five and 12-year aged options, have won more than 80 awards worldwide. 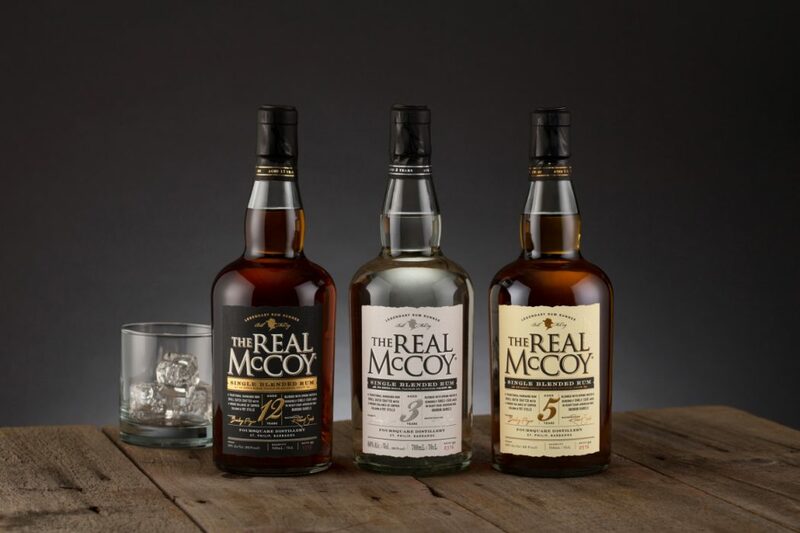 “They’re very much in line with the whiskey palate,” said Pryor of The Real McCoy’s rums. In the upcoming episode of New England Living TV, which was filmed in Mystic, CT where The Real McCoy is also based, Host Parker Kelley spends time talking with Pryor about the business. They also sample the rum, drinking it neat, as one might enjoy a whiskey. While Parker and Pryor opt to enjoy the rum straight, The Real McCoy’s website includes a selection signature cocktails, one of which was created by the chef featured in the episode, James Wyman of the Oyster Club. Watch the Mystic episode of New England Living TV on Sunday, July 23rd, on WBZ | CBS Boston.